While there’s nothing wrong with buying a finished engagement ring from a jeweler, buying a loose stone allows you to create a more personalized and unique ring for your special someone. Buying a certified loose diamond may seem like a daunting task, especially if you’re not familiar with the 4 C’s or how diamonds are graded. Outside of the diamond shape, to the naked eye, many diamonds can easily appear similar – even when they’re definitely not! However you don’t have to become a diamond expert overnight to purchase the right stone, just keep in mind the taste and lifestyle of the person who will be wearing your ring, and ask your jeweler a few simple questions. 1. What is the exact carat weight? Carat measures the mass of a diamond. While diamond carat does not necessarily determine a diamond’s quality, it is a very good indicator of a diamond’s price. In most cases, jewelers round up when it comes to carats, so by asking the exact carat weight and price-per-carat, you’ll be able to compare available loose diamonds for sale more accurately. 2. Can I see some other gems of the same grade? Here, grade refers to the diamond’s color, clarity and carat, so seeing several diamonds of the same grade will allow you to determine the quality of cut, the most important property of a diamond. Unfortunately, cut is really hard to determine, even by professionals. The ideal cut for the pavilion on a loose round cut diamond is 41 degrees, but not every diamond can be cut to that angle. A less than ideal cut doesn’t mean you have a bad diamond, but the further it moves away from 41 degrees, the more the brilliance will suffer. The best way to judge is to watch how the light moves through your diamond and trust your eye. 3. Can we take this diamond for a walk? We’re not saying you should steal any diamonds, but you should ask your jeweler to see it under different light sources. 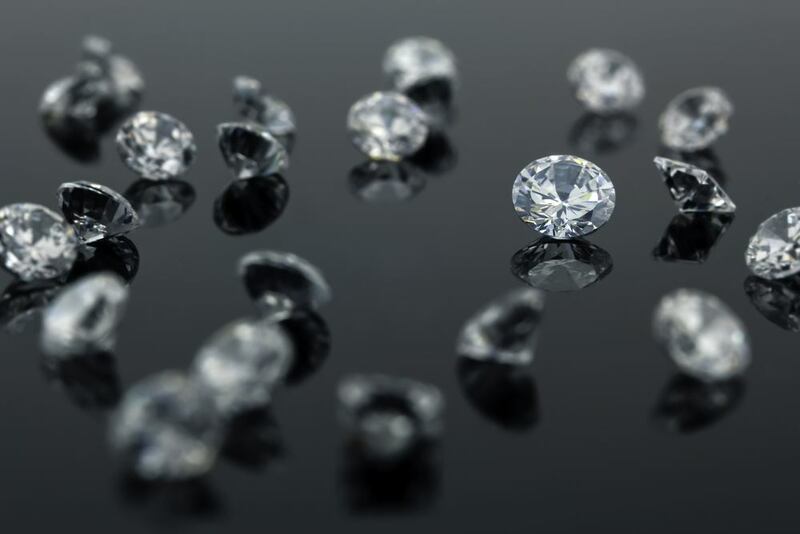 Most jewelry stores use lighting that makes diamonds appear whiter (i.e. better-quality). Unfortunately, most people don’t spend all that much time under jewelry store lighting. It’s important to see what color your diamond looks like in natural light or under fluorescents. Purchasing diamonds online can also make the decision easier, when you buy certified loose diamonds that are graded based on their color. You can then compare to the GIA’s master color set, or take a look at our diamond color chart to get a sense of the diamond’s color quality. 4. Can I see the certification? This is probably the most important question you can ask if you’re investing in a diamond. A certificate will give you information about the diamond’s cut, color, clarity and carat, and well as other factors like polish, symmetry and whether it’s been treated to improve its appearance. The most trusted certification comes from the GIA. A GIA certificate says that your stone has been sent to an independent lab to be tested and graded by experts. Note that a certificate from the GIA and a certificate from a GIA trained gemologist are not the same. If a jeweler can’t show you certification for a diamond, that’s your cue to leave. Buying a loose stone doesn’t have to be an ordeal, and most jewelers will be happy to help you make the right choice. But once you buy your diamond, your work isn’t over. You still have to choose a setting. If you need some inspiration, check out some finished engagement rings here!